We are a one stop talent source established in 1995 by our founder, Vivien Goh, who was then just 17 years old. Since then we have grown from a tiny outfit representing just 3 performers to our present representation of more than 500 performers of all genres. As it is not possible to showcase every performer, do email us talents@zephyhdom.com for suggested performers for your next event. Since 2013, We started managing bloggers as well as social media influencers. This also meant there was the need to go into graphic and web design to complement the management of new media creators and what we call the SMS - Social Media Stars. Find out more about our new services here! Emcees for roadshows, family days, dinners, launches and fantastic singers too. Custom made skits and stories - custom written scripts and the right performers for them. Mimes, Plasticine Men and other fun minglers like the table girls and contact jugglers. 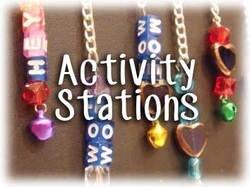 Super Fun Craft Activities, HP Charm Making, Claywork, Shrink Art, Pebble Art and more! 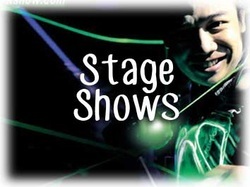 The most amazing stage shows, some for dinner and dances, family days and others for promotions. Get decor to fit every budget, simple to elaborate! Cultural Shows from Chinese Lion Dance, Malay Cultural dance to the acrobatic Bhangra Dancers.